The Israeli Authorities released, on Monday at night, the governor of occupied East Jerusalem, Adnan Gheith, after ordering him to pay a 20.000 Shekels fine, and forcing him under house arrest to seven days. Mohammad Mahmoud, a lawyer with the Palestinian Detainees Committee, said the Central Court in occupied Jerusalem, accepted an appeal against the detention of the governor, and ordered his release. He added that the Gheith will be held under house arrest in Wadi al-Jouz, in Jerusalem, for seven days. It is worth mentioning that Gheith was taken prisoner, two days earlier, after the soldiers ambushed him in Beit Hanina, north of Jerusalem. 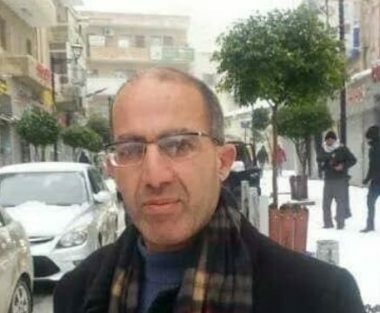 The Palestinian official was abducted due to his ongoing support and presence in the al-Khan al-Ahmar Bedouin community, which is facing demolition and displacement by Israel.